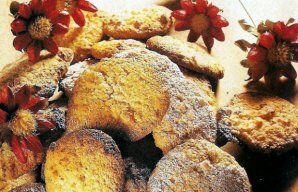 These orange cookies (biscoitos de laranja) are easy and quick to make and taste delicious, enjoy. Beat the orange zest, sugar, butter and oil until everything is well mixed, then add the flour, baking soda, a few drops of orange juice and knead well. Roll out the dough on a workspace, use cookie-cutters to cut the cookies in shapes and place them on a tray with parchment paper. Bake in the preheated oven at 200°C or 400°F for 7 to 10 minutes. Let the cookies cool and sprinkle them with powdered sugar. 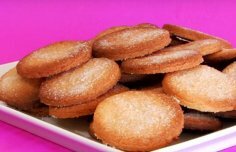 This 4 ingredient Portuguese almond cookies recipe is so easy to make and makes a great tasty snack. 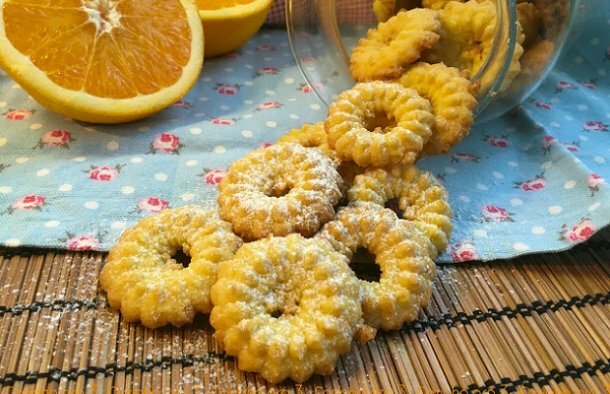 Learn how to make these delicious crispy Portuguese cookies. How to make Portuguese meringue kisses (suspiros).